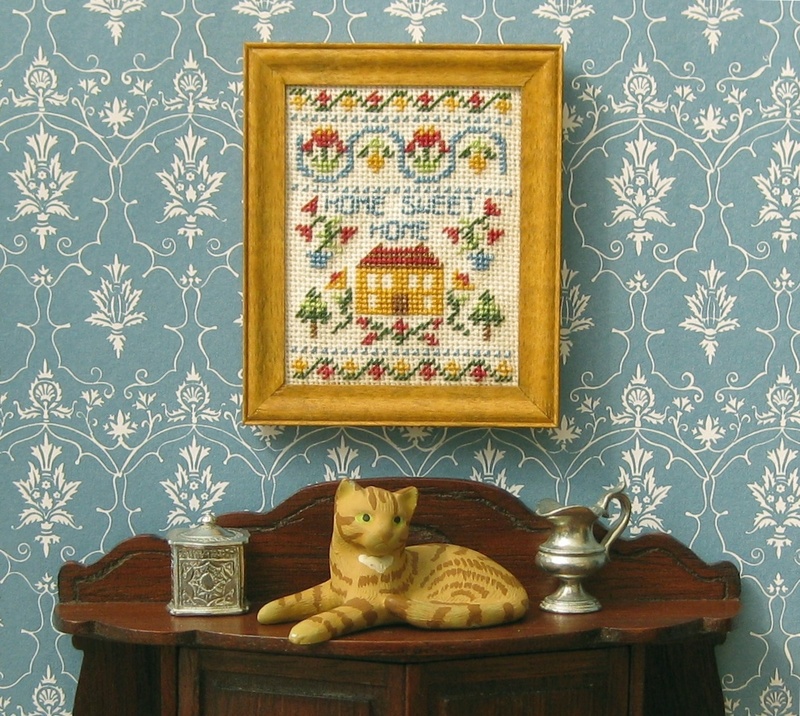 I’ve got some new doll’s house embroidery kits on my website! 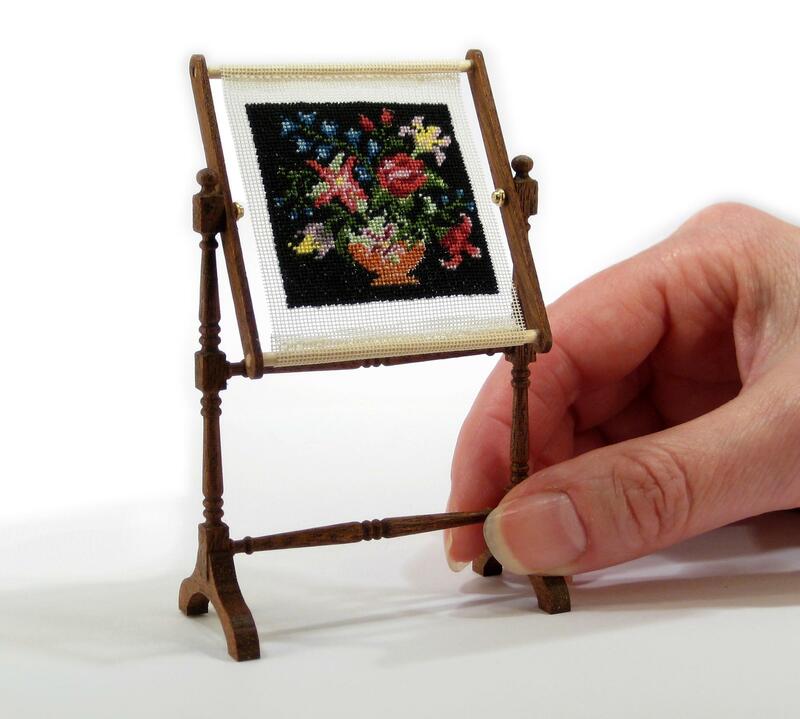 I’ve been working all day on getting some editorial sent off to the stitching and doll’s house magazines, to advertise my new miniature needlepoint tray cloth kits. 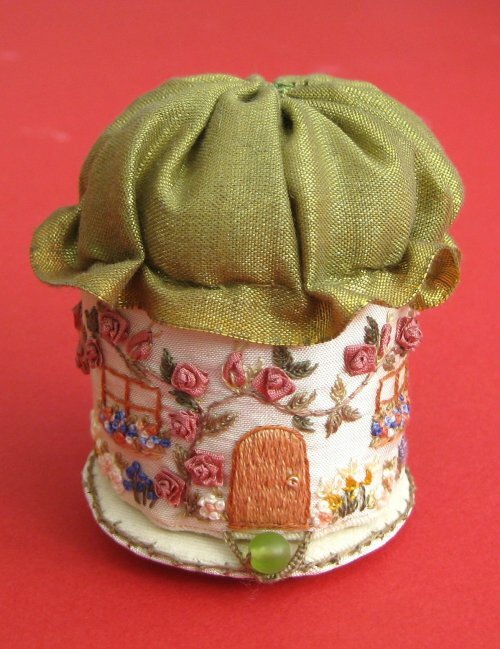 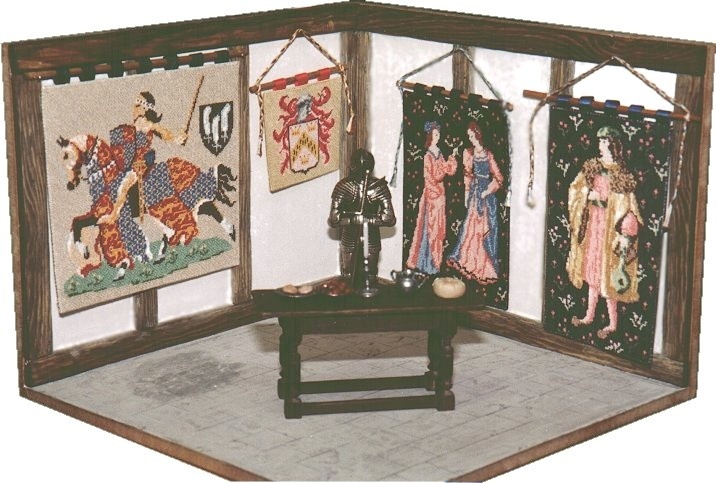 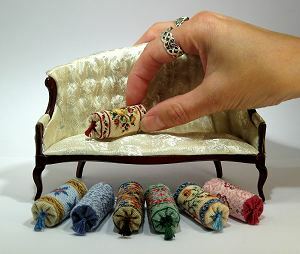 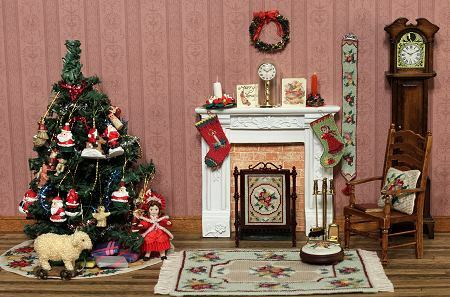 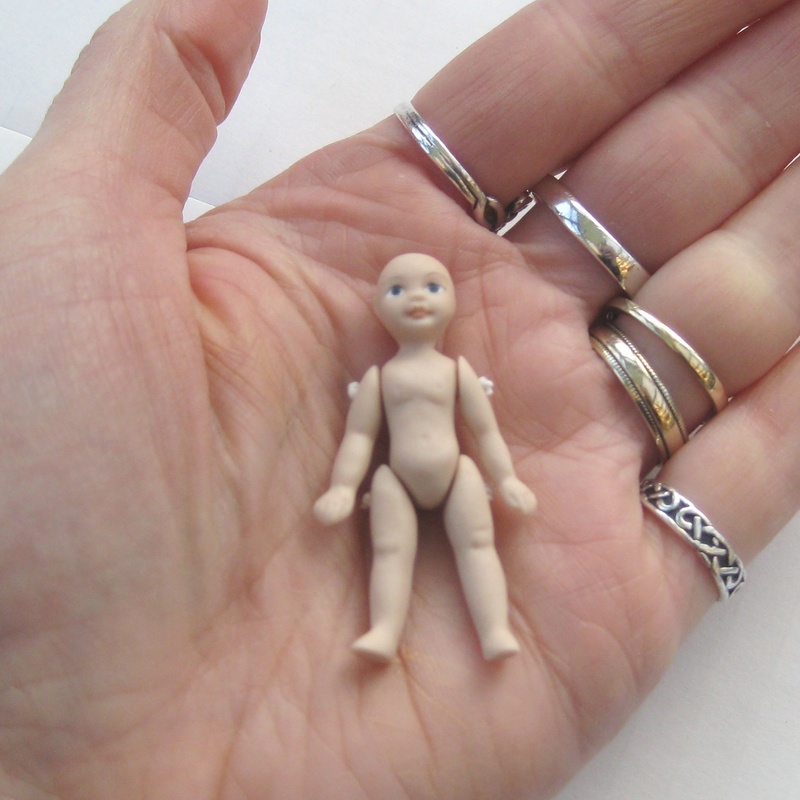 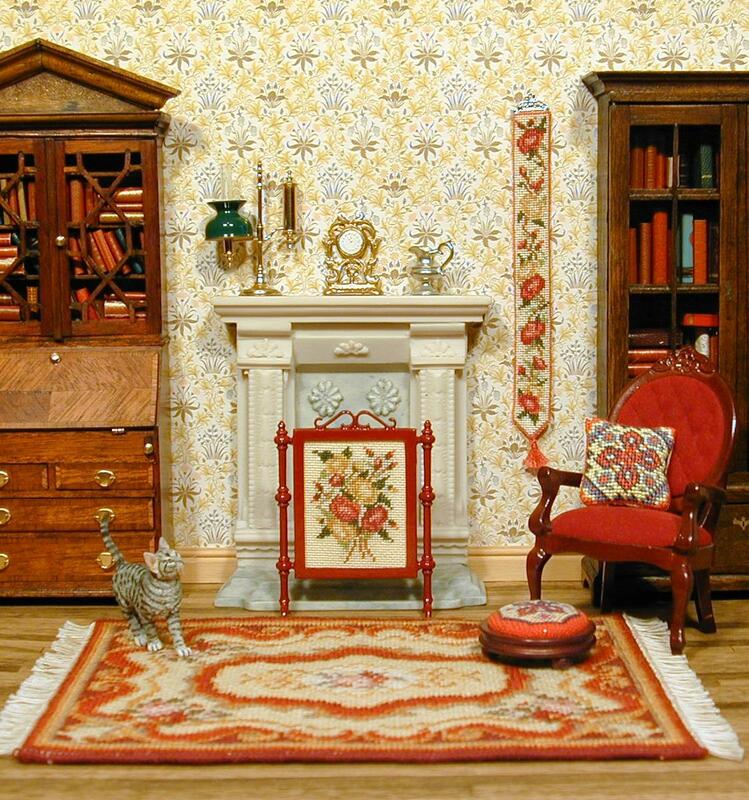 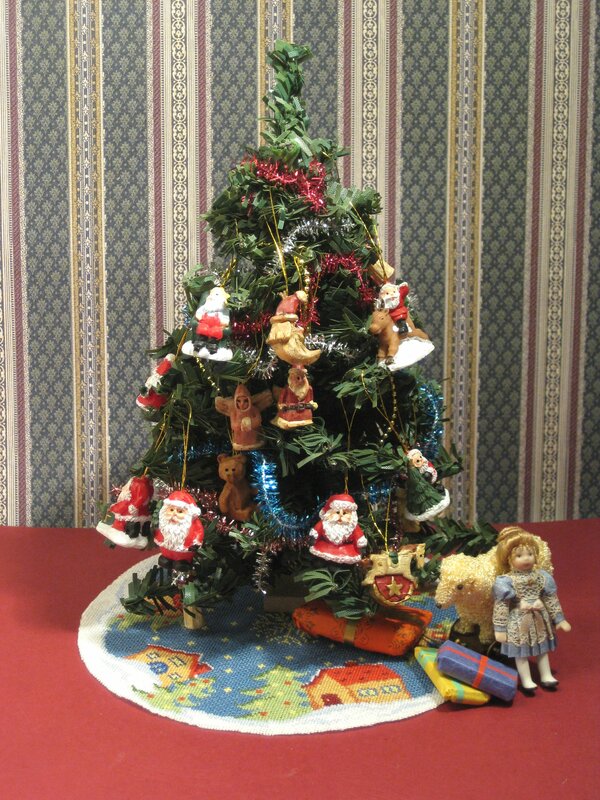 All my kits are for one twelfth scale doll’s houses (adult collector’s scale; not children’s!). 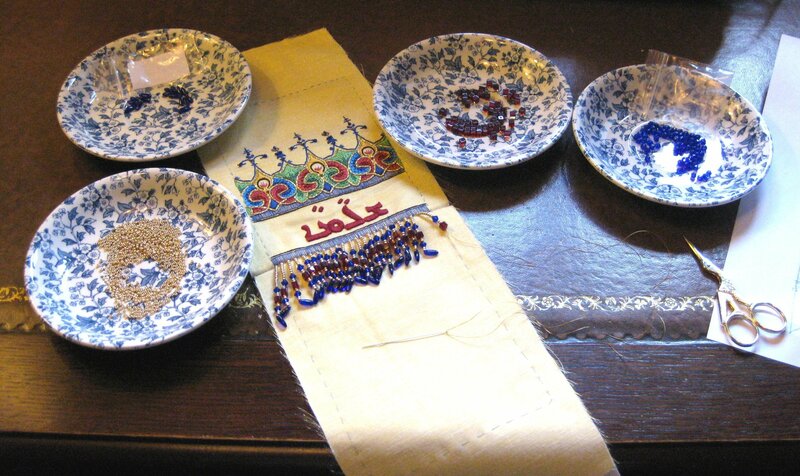 Each tray cloth is designed to be worked on 32 count silk gauze, and is really simple to do. 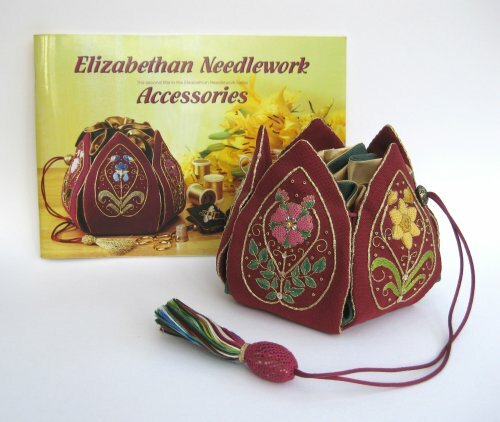 Everything that you’d need is included in the kit, from the silk gauze and Anchor stranded cotton, to detailed making up instructions with diagrams. 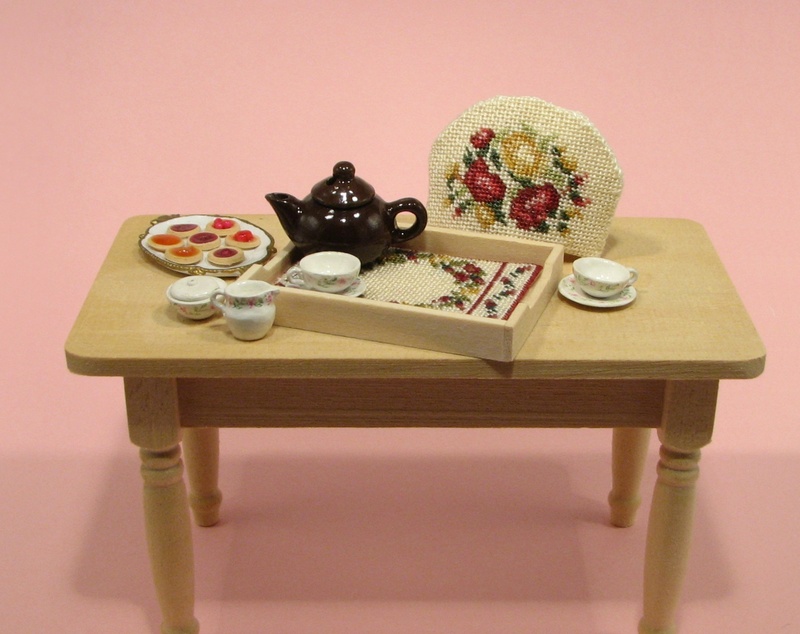 A whitewood, ready-assembled tea tray is also included, into which the finished tray cloth fits neatly. 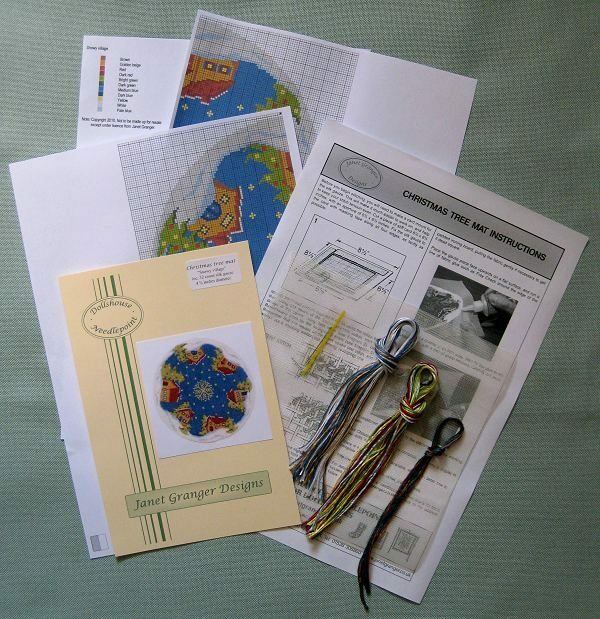 As usual with our kits, a clear colour block chart is included, to count the design from. 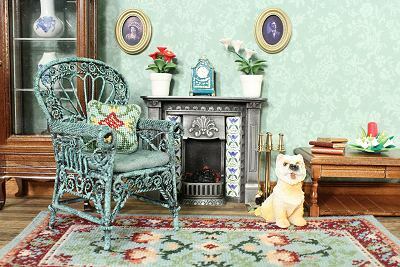 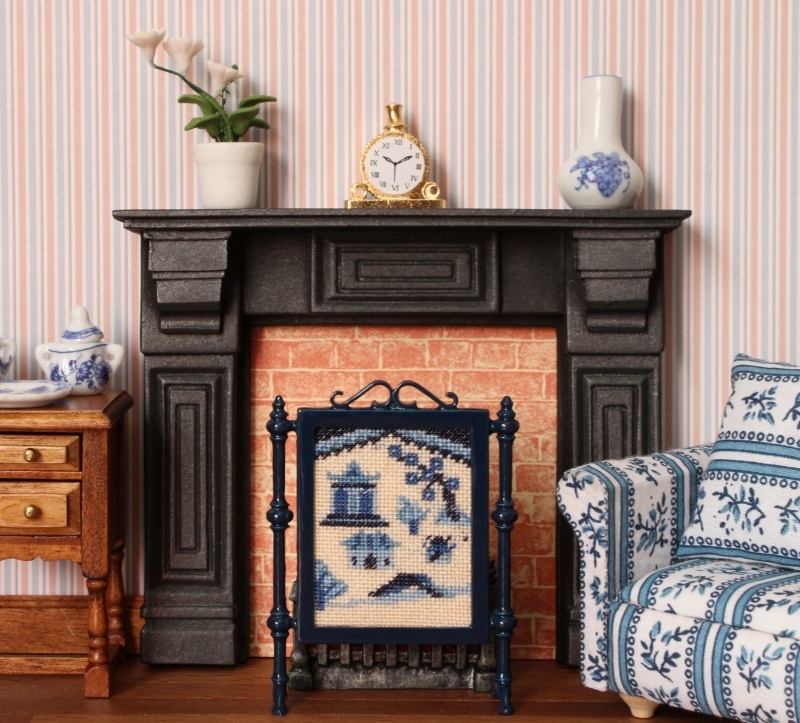 There are five designs altogether – you can choose from a cottage-shaped cosy, several floral designs, a 1930’s style crinoline lady and a willow pattern motif. 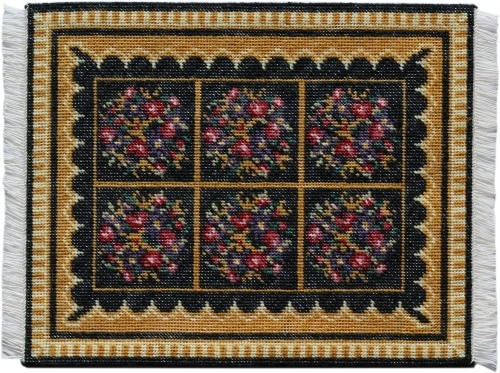 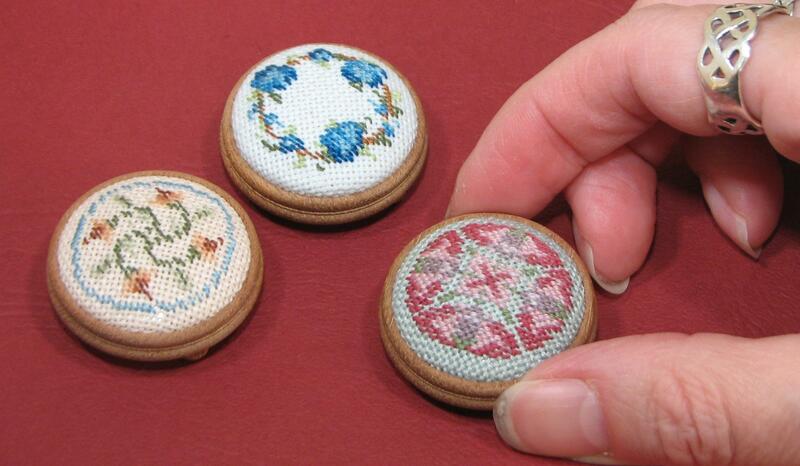 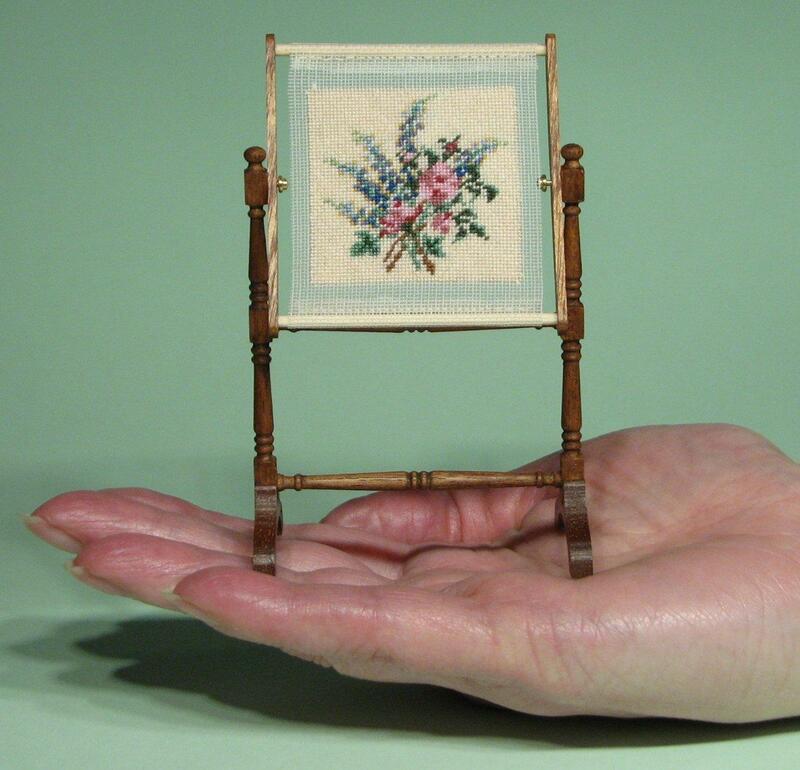 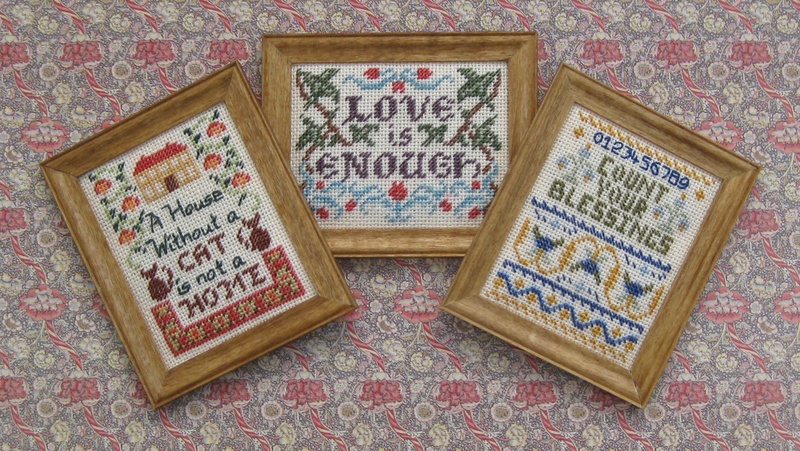 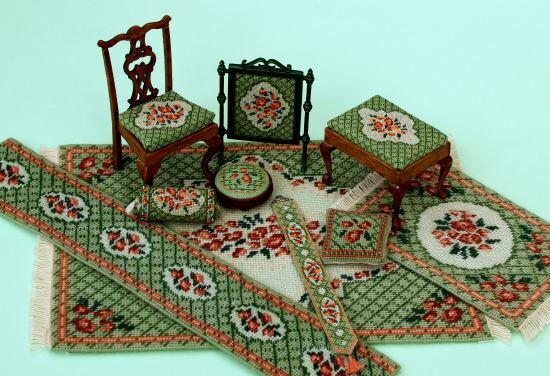 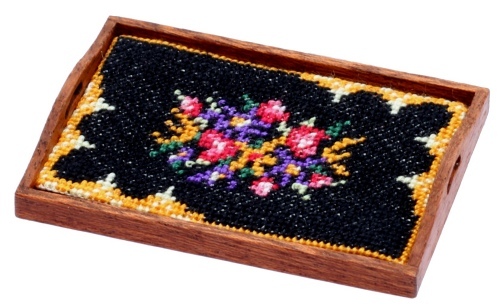 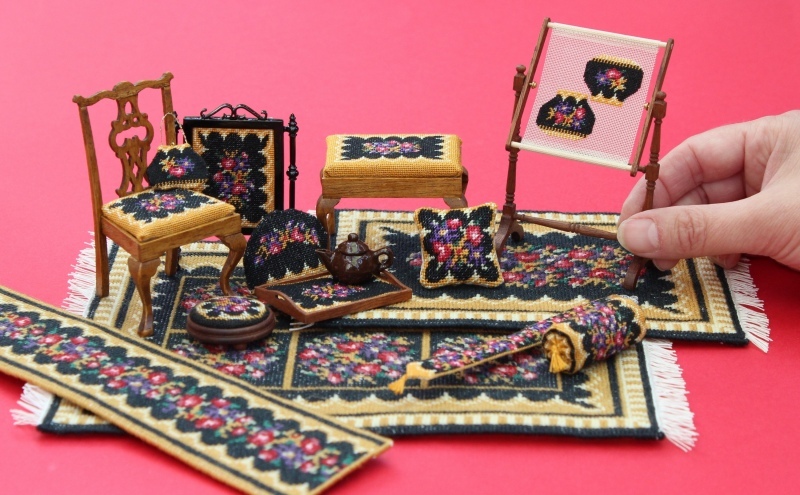 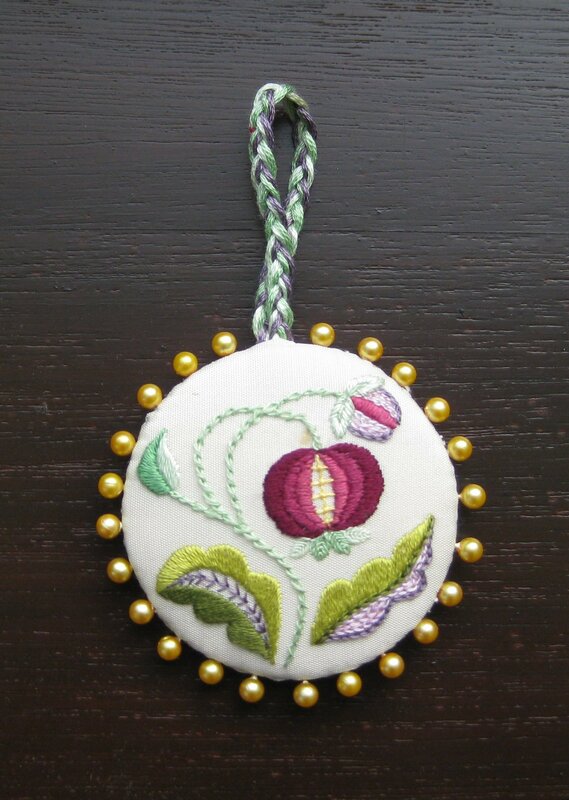 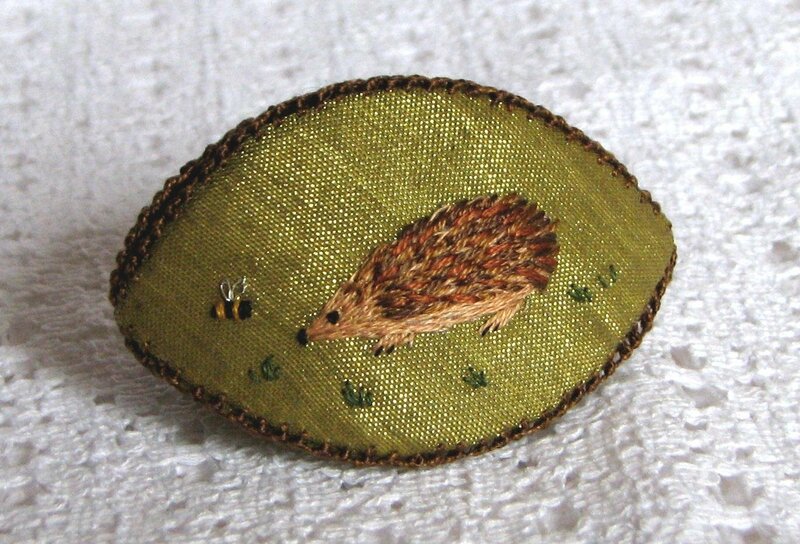 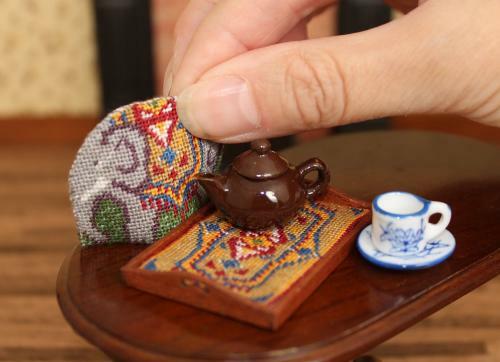 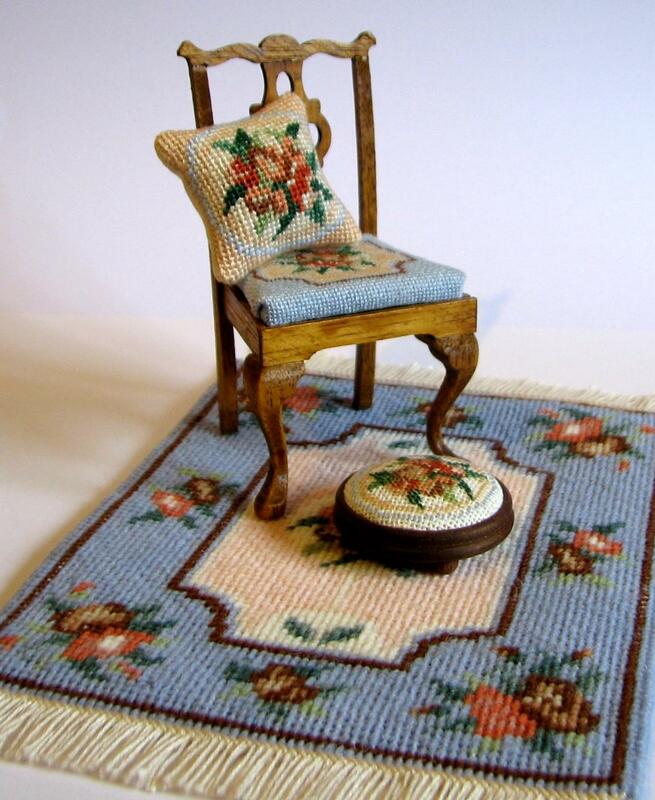 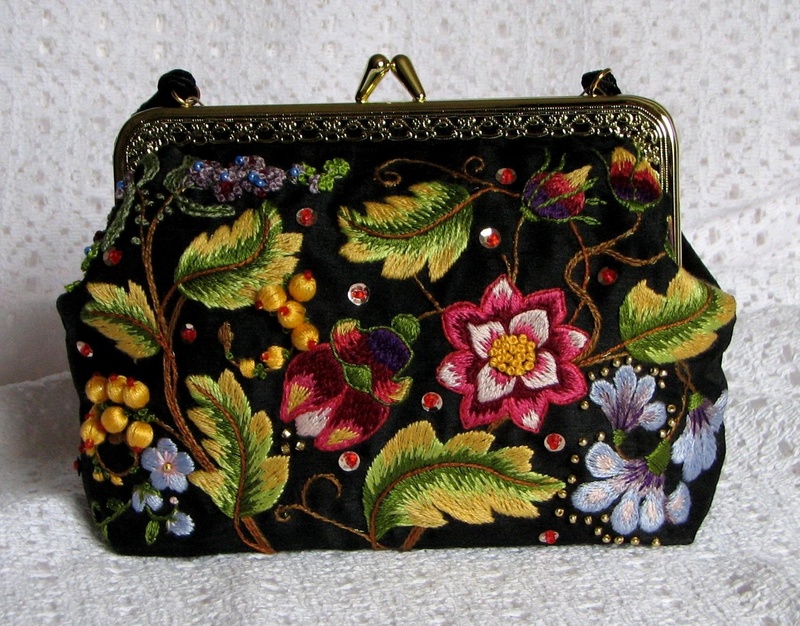 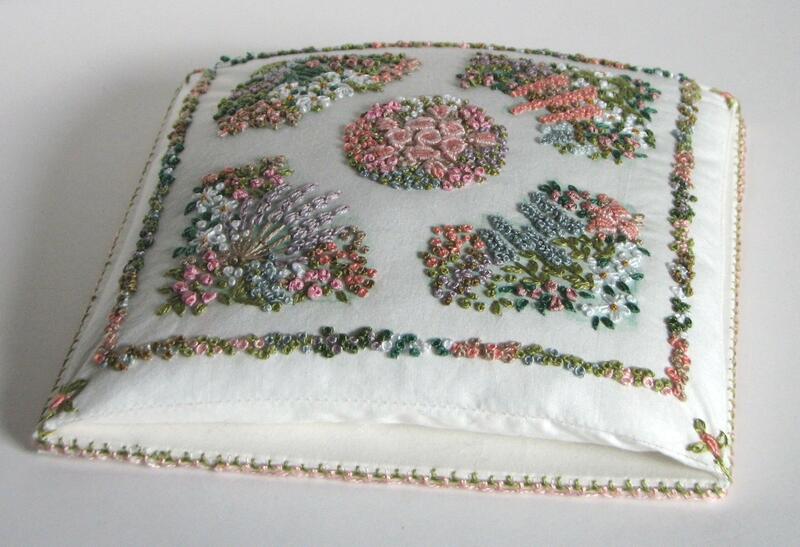 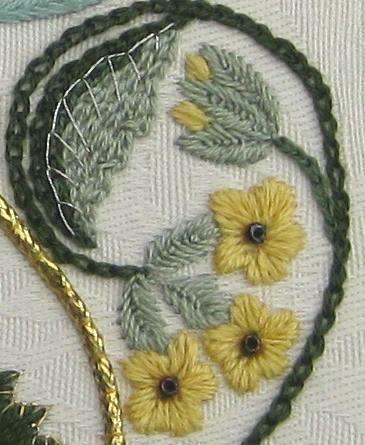 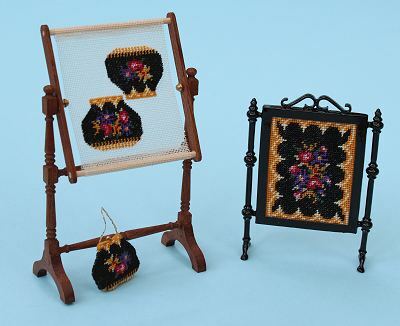 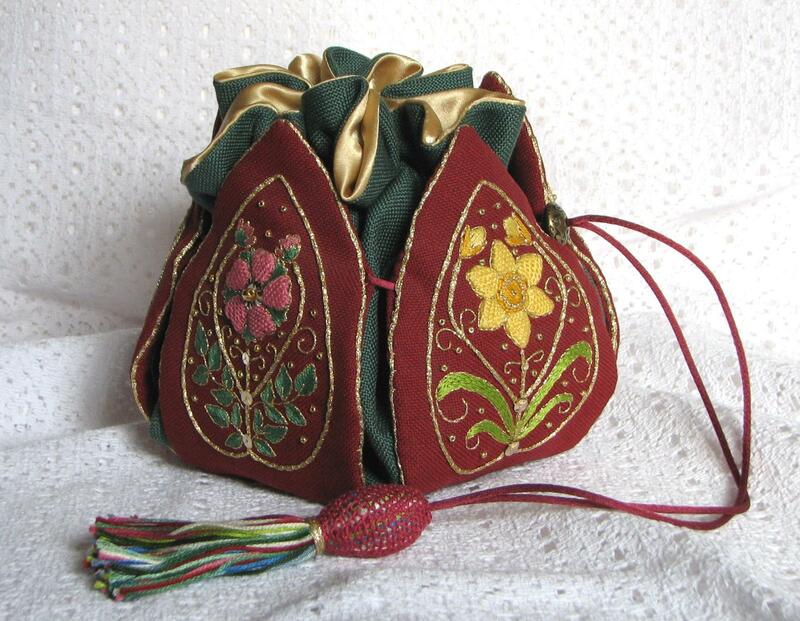 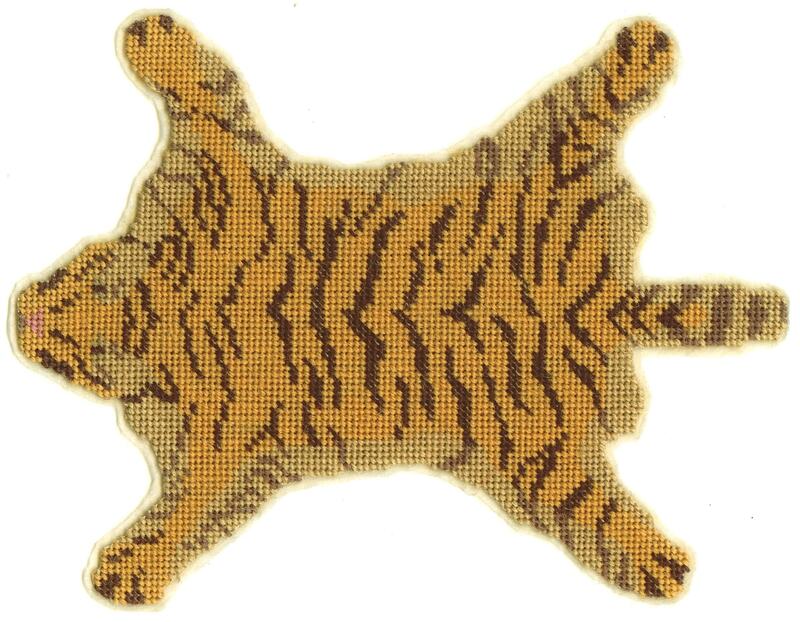 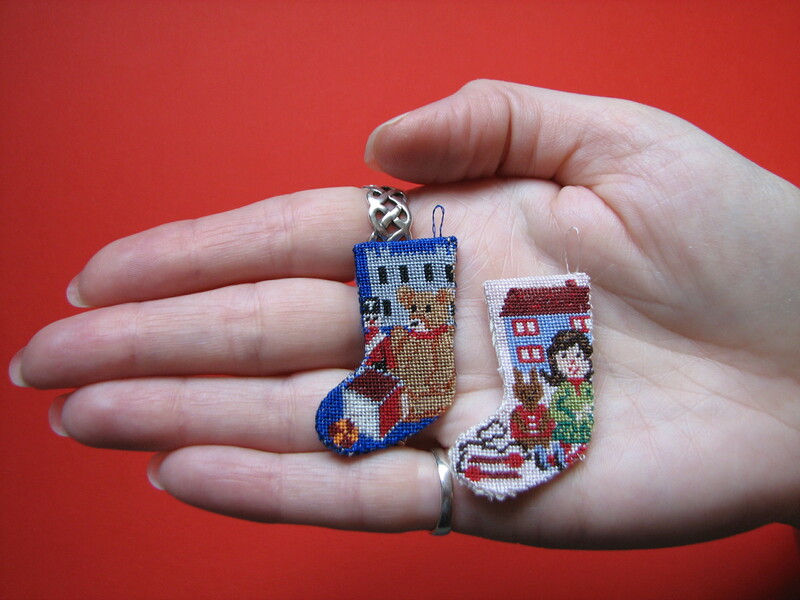 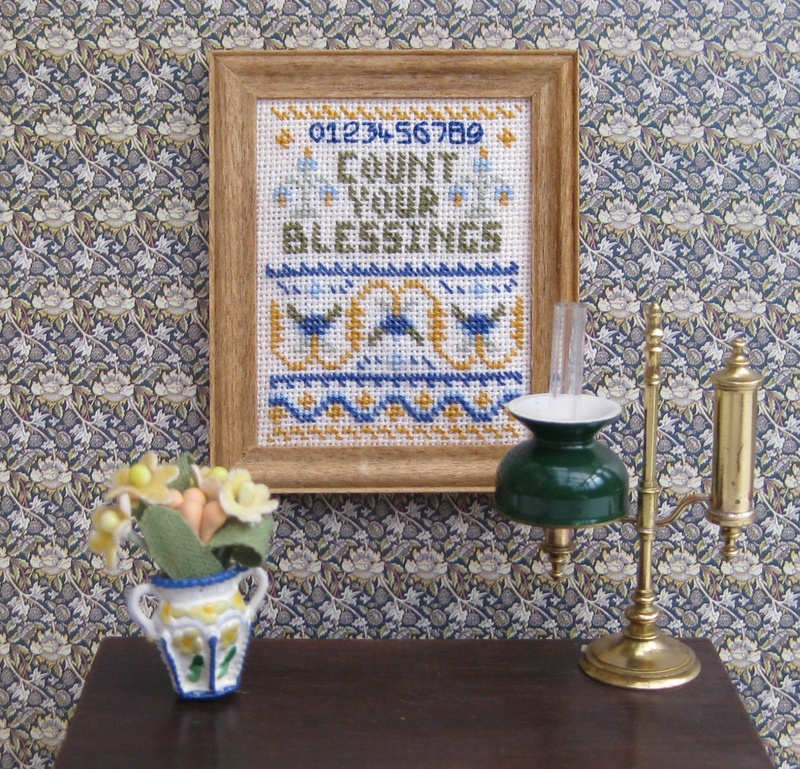 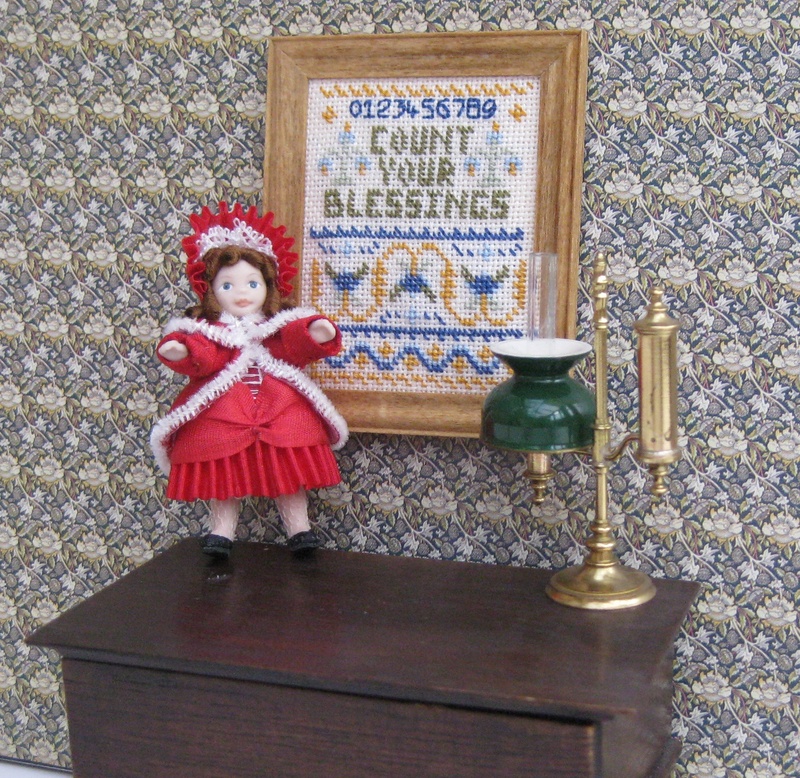 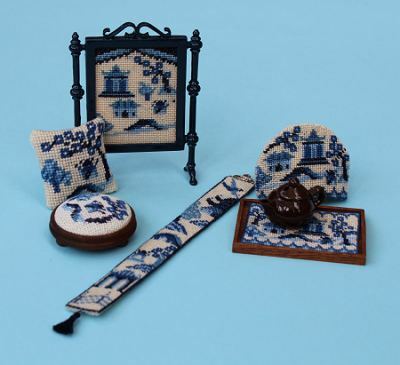 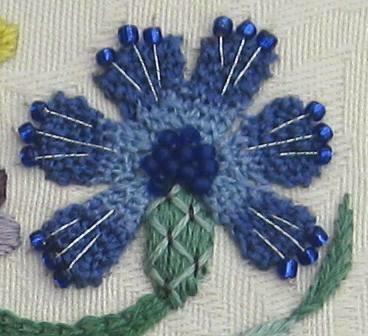 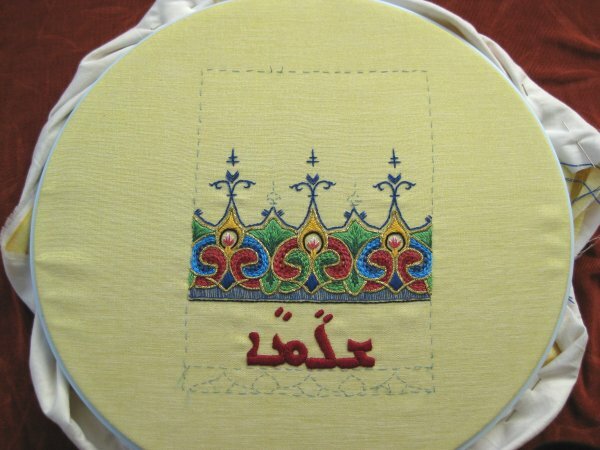 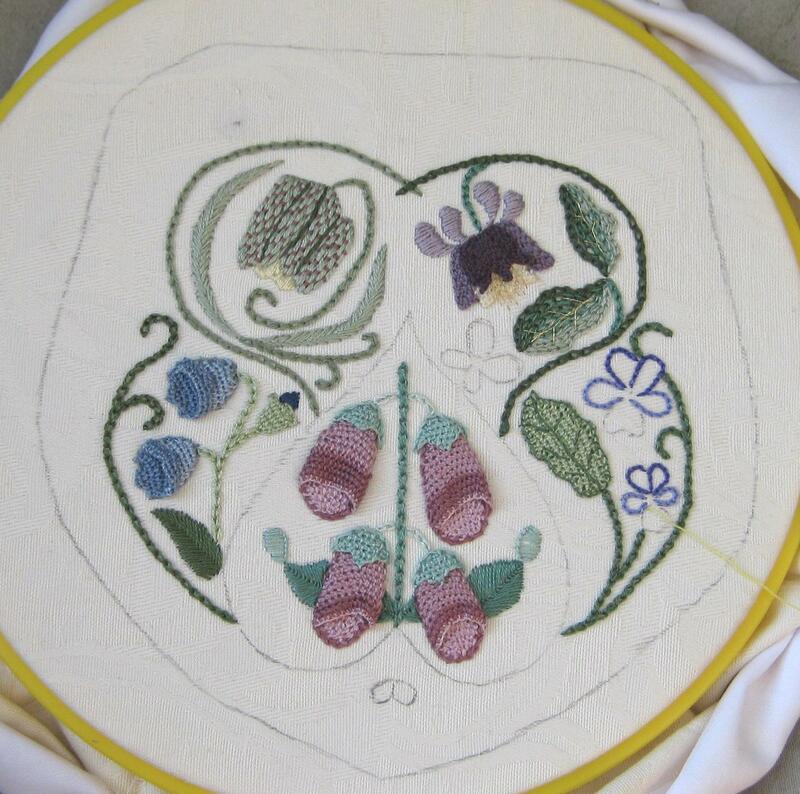 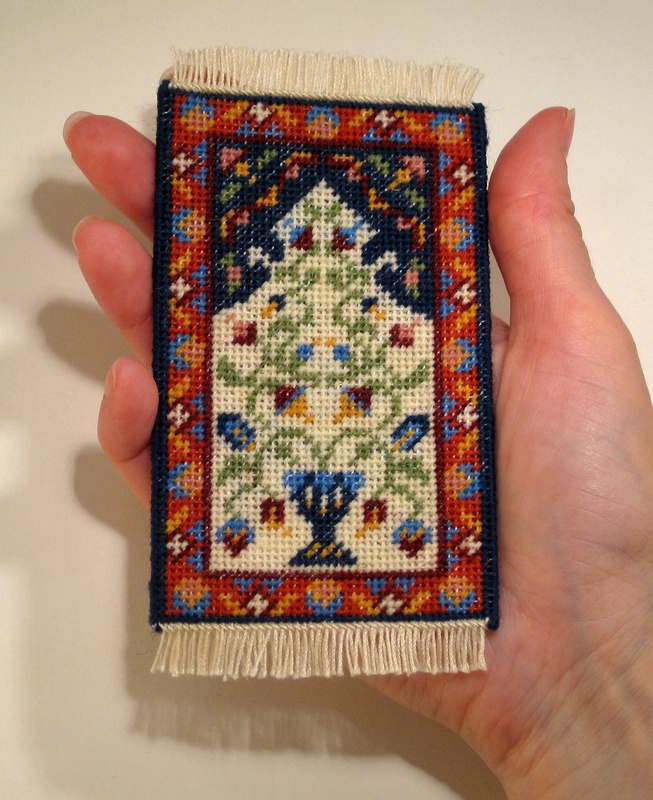 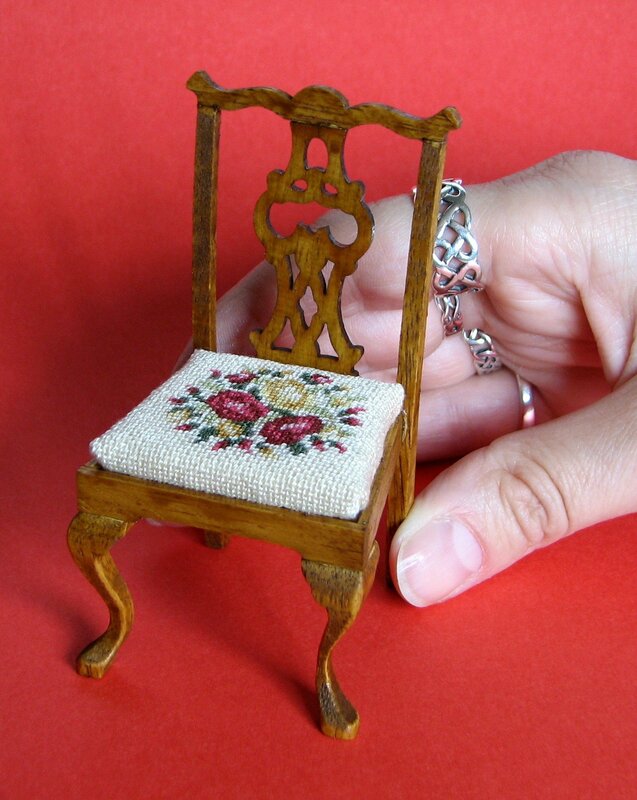 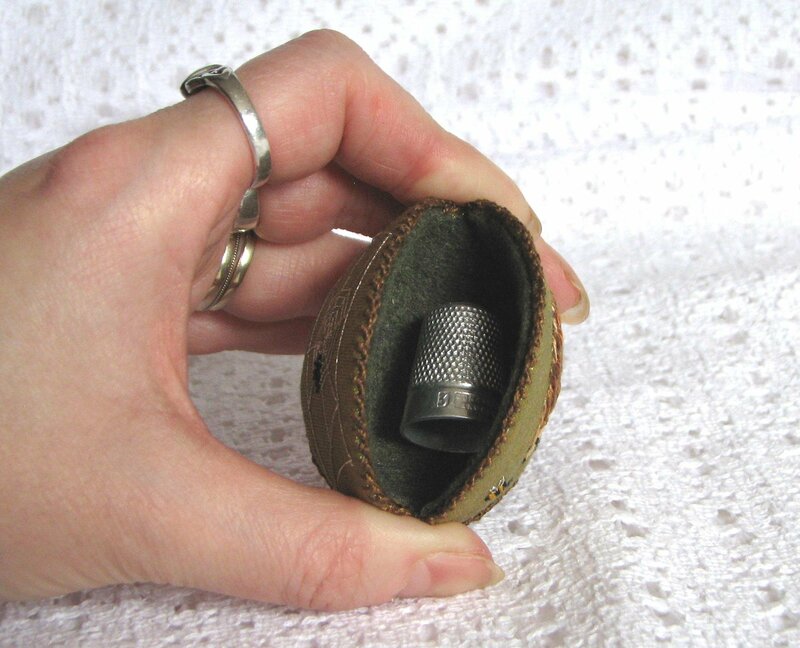 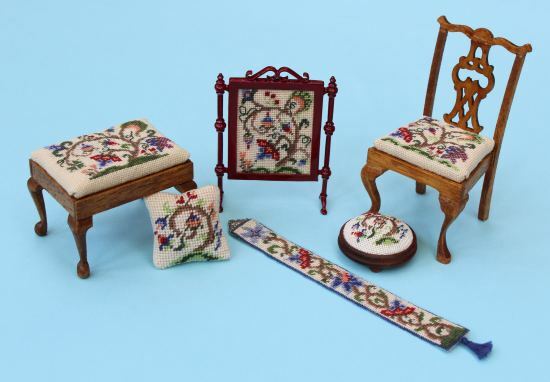 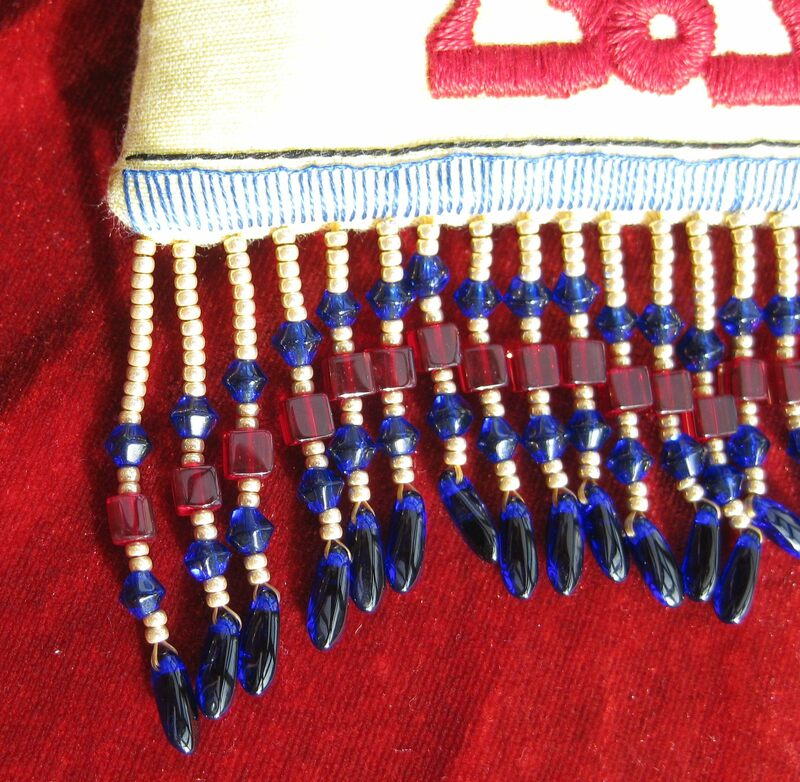 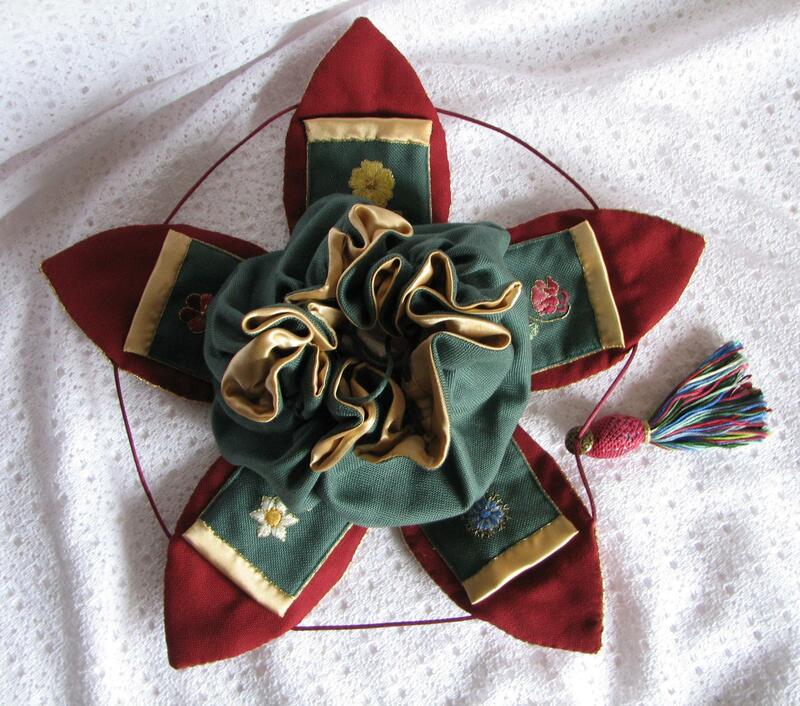 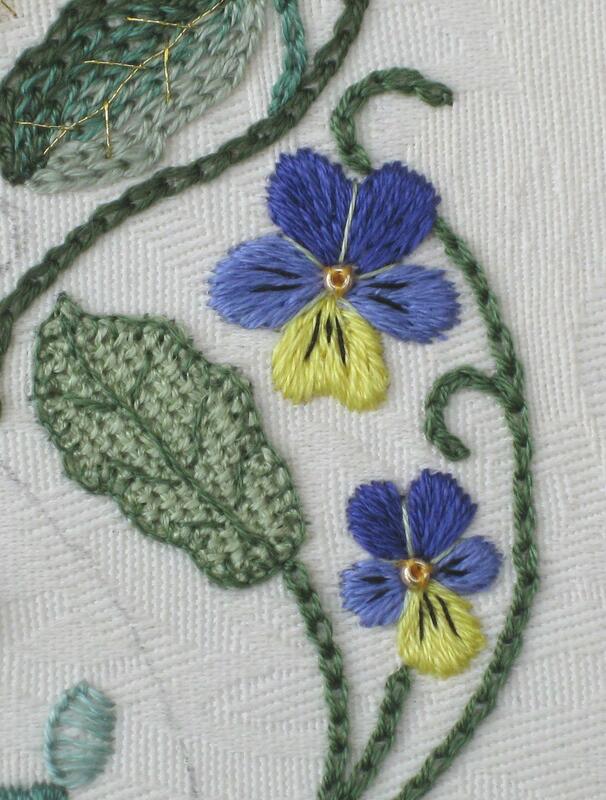 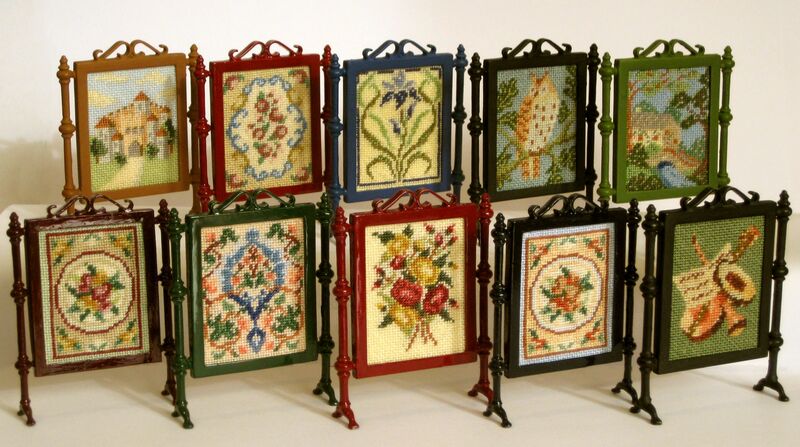 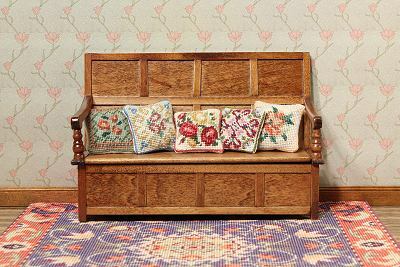 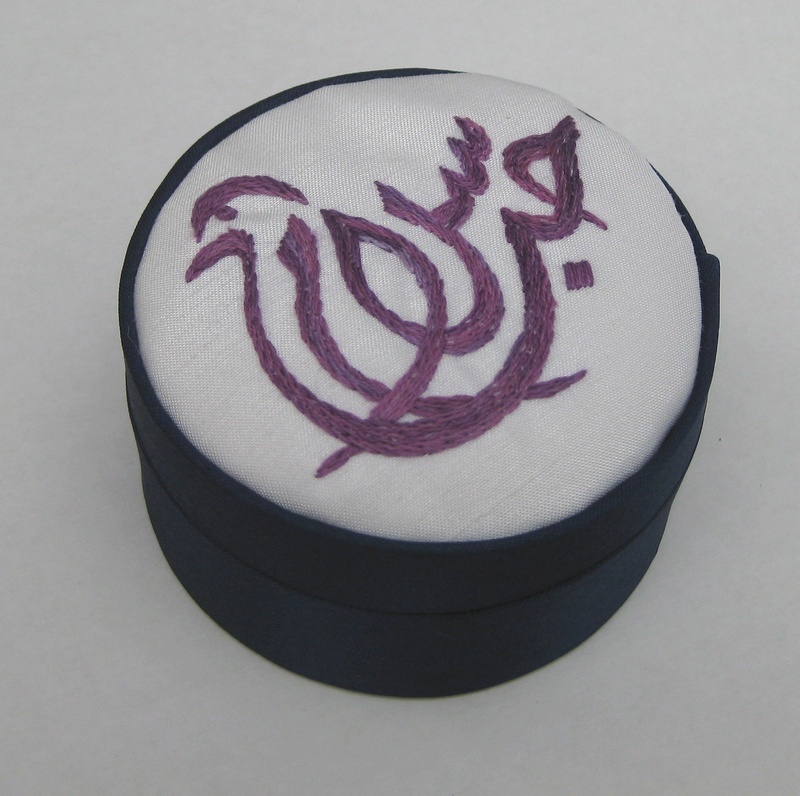 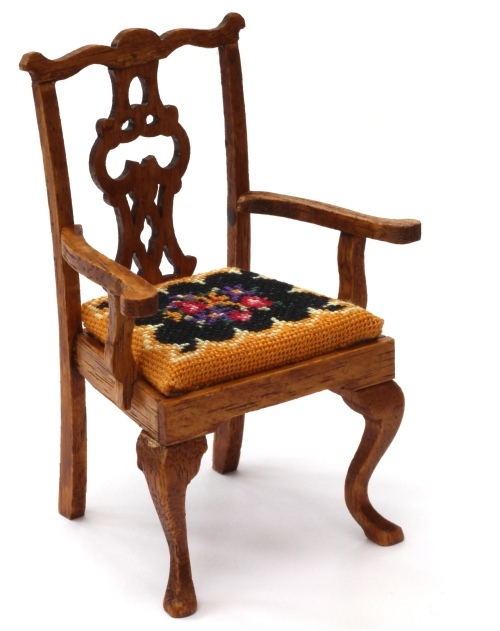 There are free online tutorials, too, if you are new to miniature needlepoint. 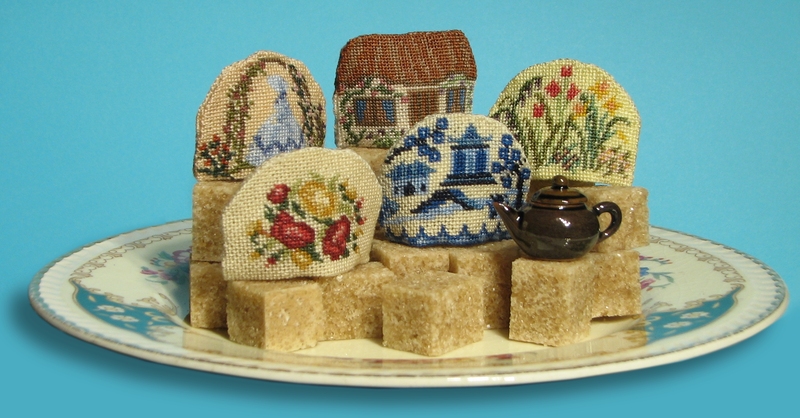 Author Janet GrangerPosted on October 6, 2009 March 5, 2012 Categories Teacosies, Tray clothsTags Doll's house, Doll's house embroidery, Dollhouse, Embroidery, Finished embroidery, Hand embroidery, Miniature needlepointLeave a comment on I’ve got some new doll’s house embroidery kits on my website!